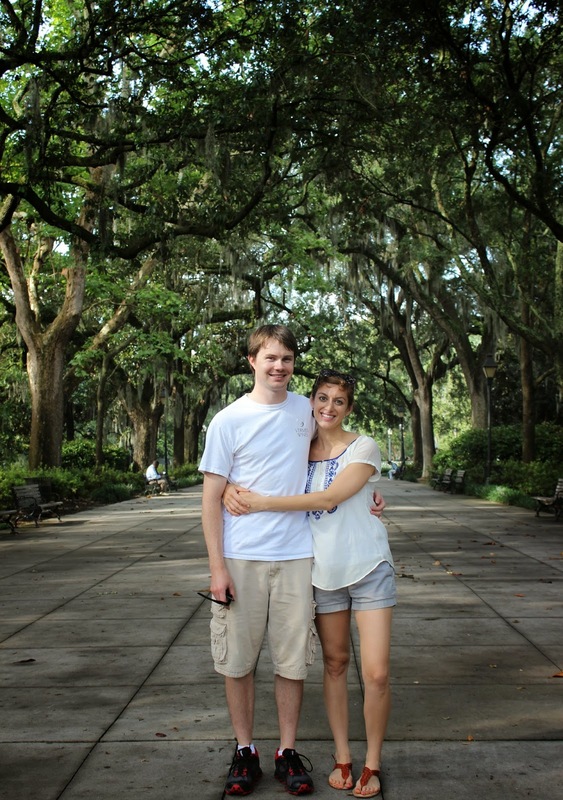 Adam and I just returned from a lovely week of vacation in Savannah, Georgia, and I'm sharing a recipe for the best thing we ate on our trip. Perhaps you're a little surprised that the best thing we ate on a a week in the deep south is a salad with watermelon? Not something deep-fried or sandwiched in a biscuit? Well, the second best thing we ate was fried green tomatoes, and I'll be making those for you later this summer as soon as the tomatoes in my garden are ready. We also ate other gloriously unhealthy vacationy things, and you can find all our restaurant recommendations at the end of this post. 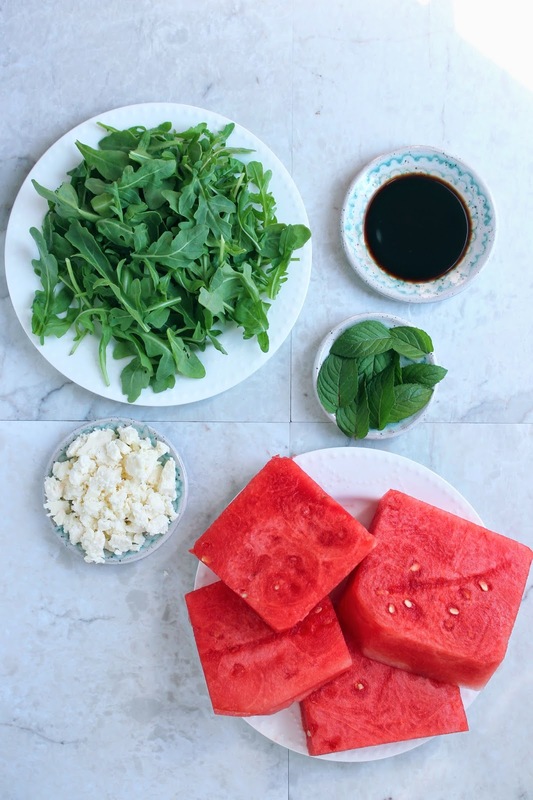 BUT, still, hands down the best thing we ate the whole week was this kooky salad with watermelon, balsamic, mint, arugula and feta. So. dang. good. This salad would be a lovely first course at a summer dinner party. It's the kind of thing that seems elegant because of the unique combination of ingredients but is actually quite simple. My favorite kind of recipe. Lay watermelon slices on plate. Drizzle with Balsamic vinegar. Top with arugula and mint. Sprinkle feta on top. *Serves 2, but can be easily doubled or tripled. Recipe inspired by The Old Pink House in Savannah, Georgia. The taste of the whole mint leaves can be quite strong. To lessen the intenseness, you can finely chop the mint, or turn it into a sort of mint vinaigrette by pulsing the mint leaves and some olive oil in a food processor. 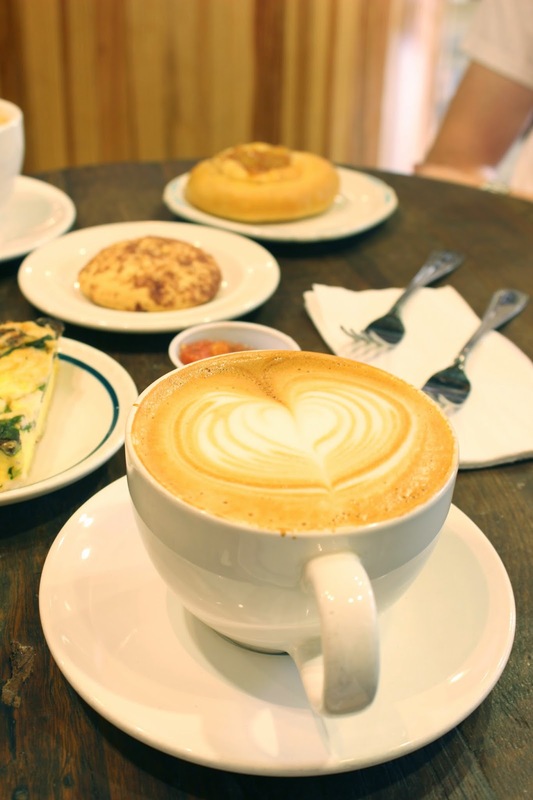 The Coffee Fox - This is a super cute hipster coffee place. We adored the horchata lattes. The Old Pink House - Probably our favorite place in Savannah. In addition to the watermelon salad (which was a special) we recommend the fried green tomatoes and the cheerwine barbecue chicken sliders. This place is popular, so make a reservation as much in advance as you can. Pacci's Italian - This is a new restaurant in Savannah that just opened about a month before we came. I read a positive review of it in a local magazine and decided to try it out. 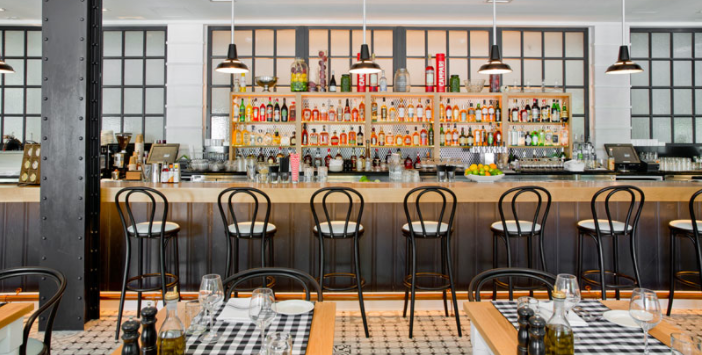 The interior is chic and modern and the Italian cuisine is delicious. We recommend the arranci (fried risotto balls stuffed with cheese) and any of their pasta dishes, as all their pasta is made in house. Vinnie Van Go Go's - We decided to try this place after being told about it by several locals. 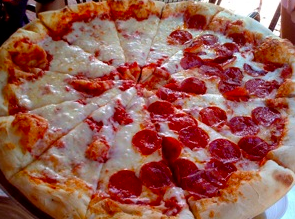 It's a hole-in-the-wall sort of pizza place, but the New York style pizza was good and cheap. 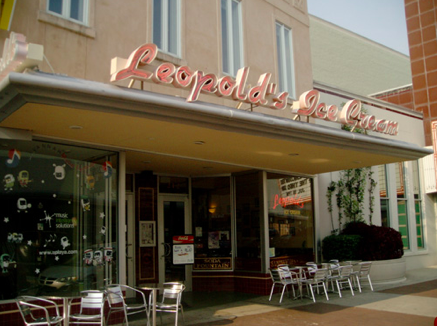 Leopold's Ice Cream - This is another Savannah classic. The scoops are big, so one scoop is probably enough! Adam had two and nearly felt sick afterward. I recommend the raspberry chocolate. A few more Savannah pics, just for fun. 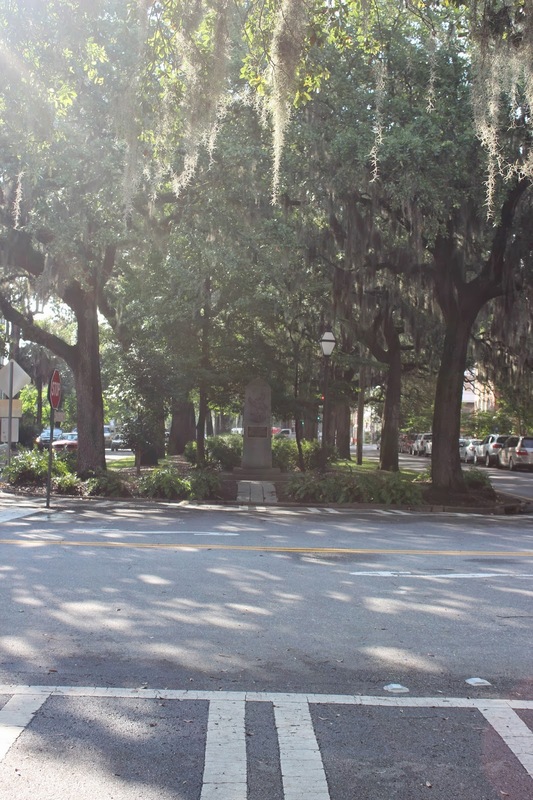 I'd love to hear your thoughts on Savannah, or ice cream, or weird watermelon salads! I've never been to Savannah, but it's a place I would like to visit! 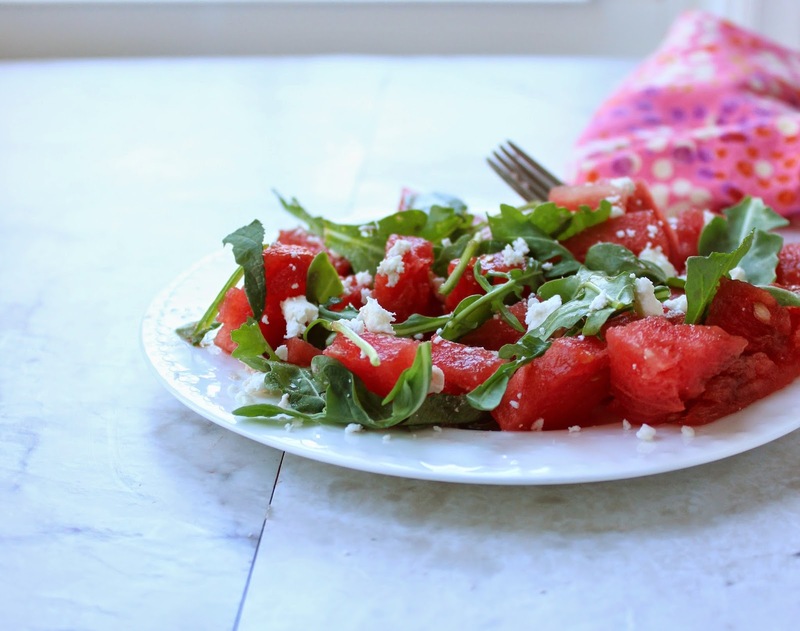 I love watermelon in salads - I've actually been eating watermelon like crazy already this summer. I like it with a bit of salty feta. I've nver been to Savannah (or to the US, mind you), but it sounds like a lovely place indeed! 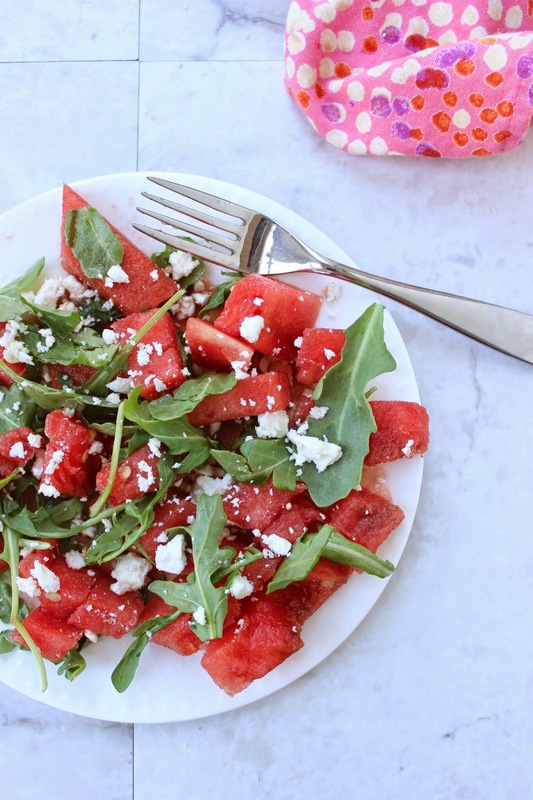 Watermelon in salads is truly amazing, especially when salty feta is involved. I love the sound of this combo! Only weird to the non adventurous ;) I happen to love the combination of sweet, savory and tangy! Look at all of that green! 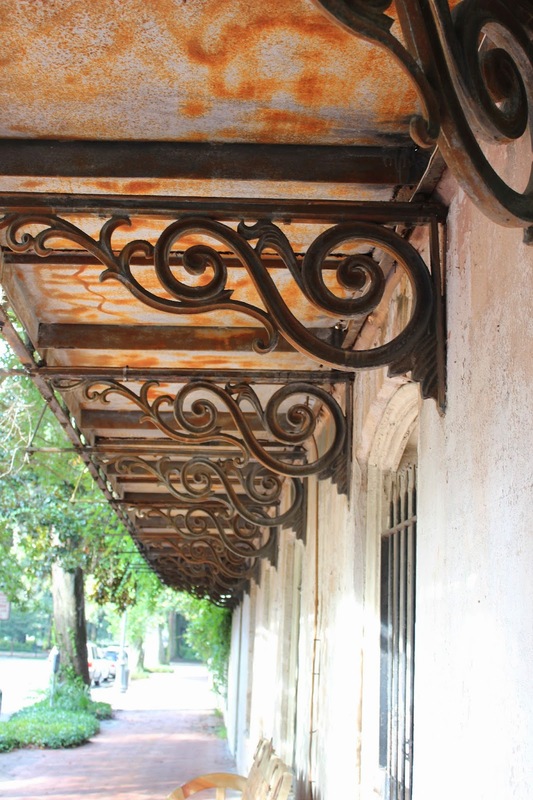 Visiting the south is totally on my bucket list. 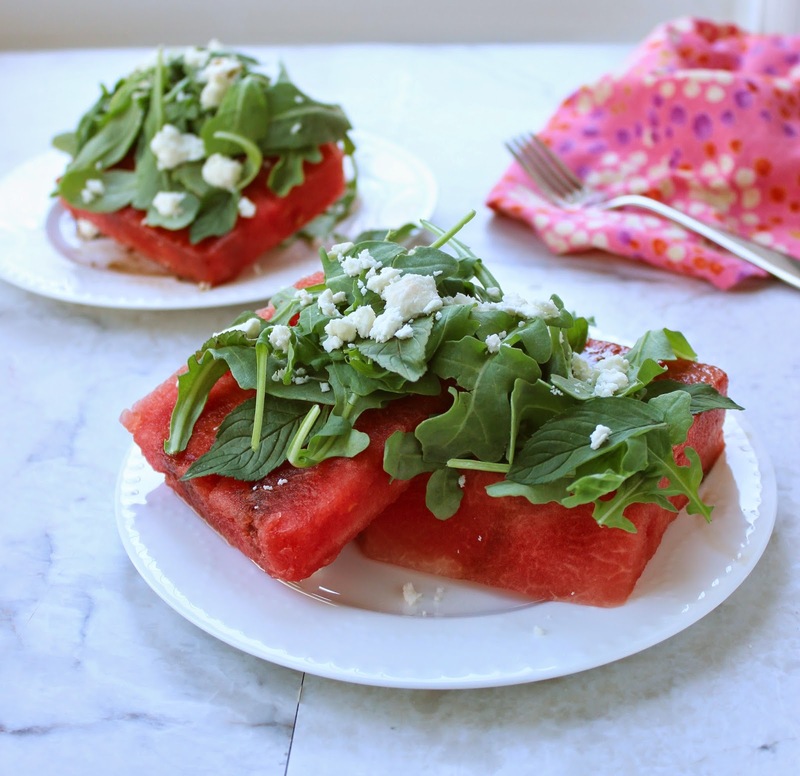 Watermelon + feta is the best and most unexpectedly great combo ever! Yum! What a wonderful trip and what a gorgeous recipe. Love the sweet and savory combo here. Your blog is just lovely too. I'm so glad I found it. I'm following you now. Thank you for sharing! !